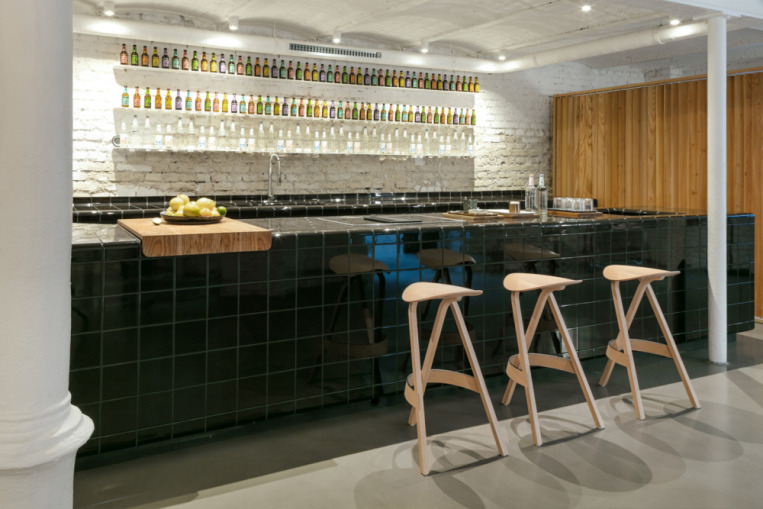 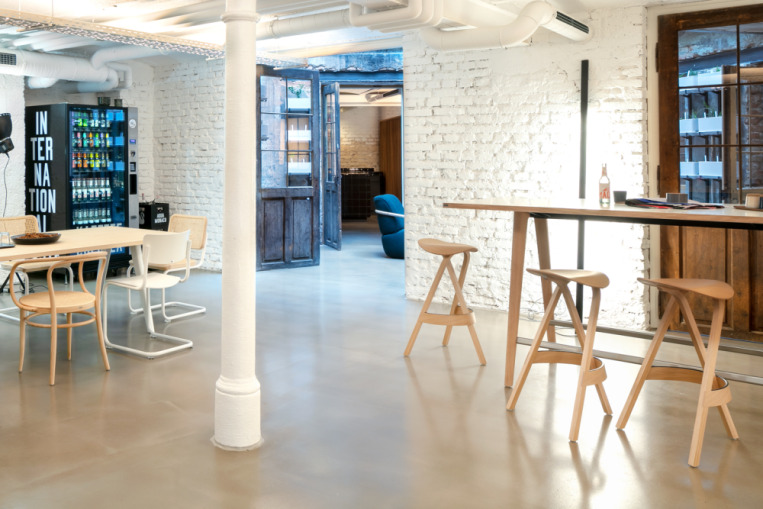 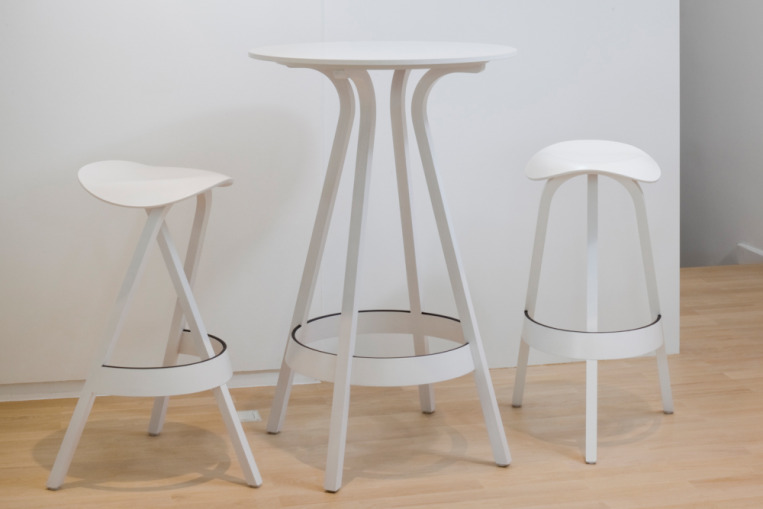 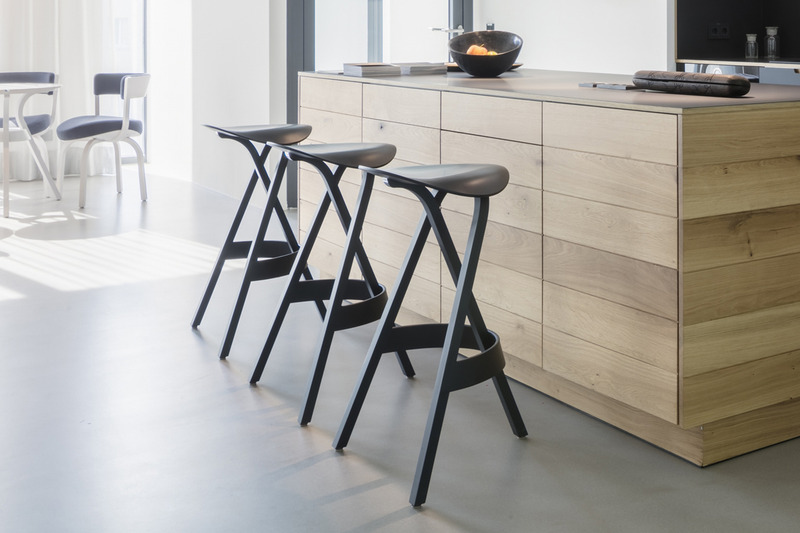 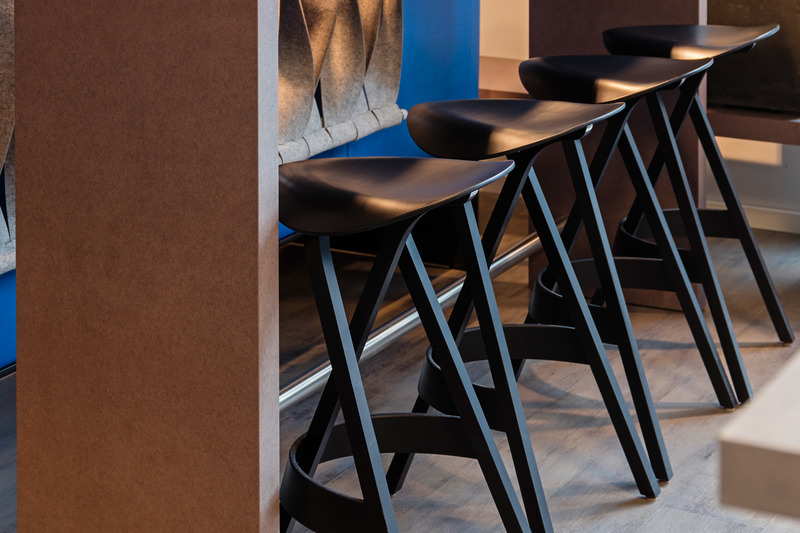 The unique barstool 404 H. Standing on three legs, it is striking and unmistakable. 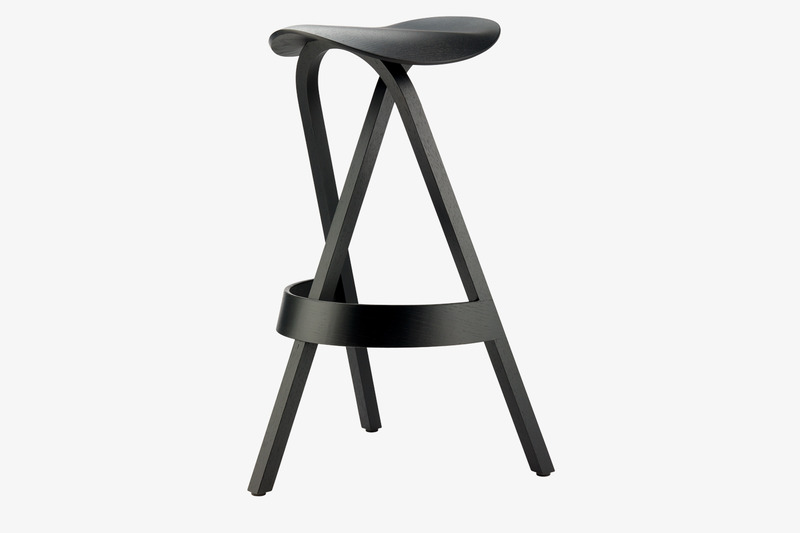 The seat is especially characteristic and plays with the association with a riding saddle. 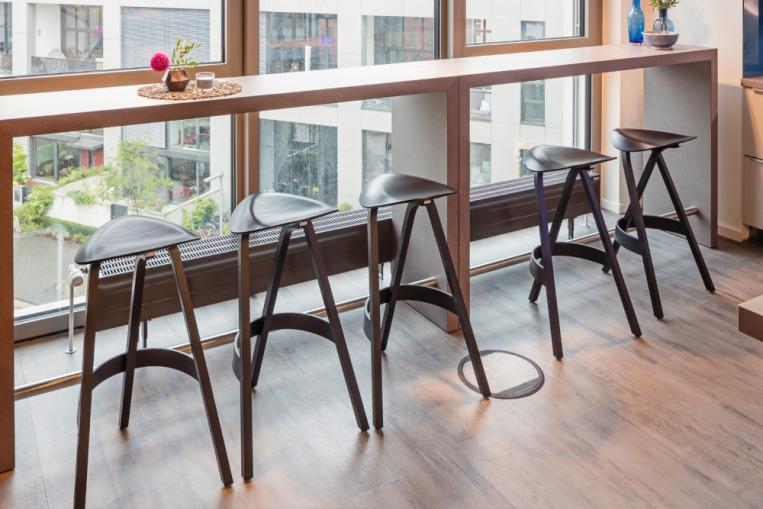 When sitting down, a surprising effect occurs: the seat slightly "swings." 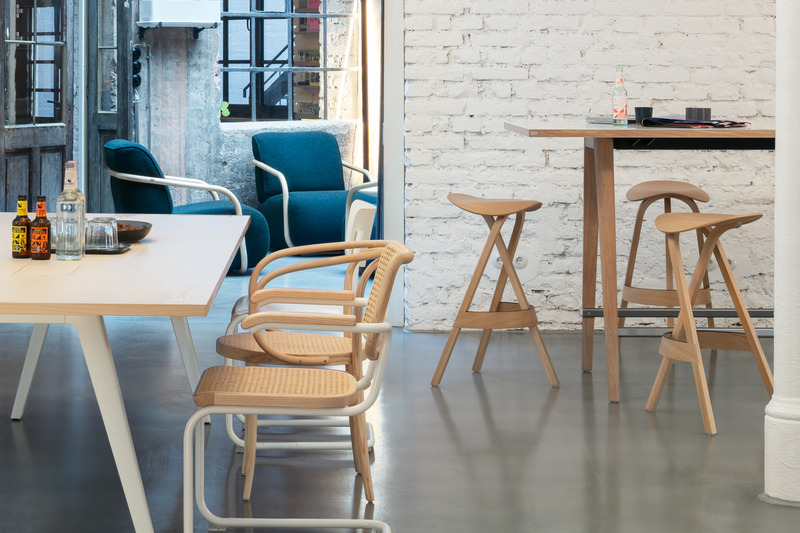 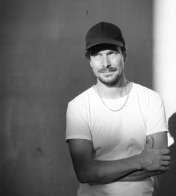 Stefan Diez once again proves how the Thonet heritage can be interpreted in a modern and unconventional way based on the innovative processing of wood. 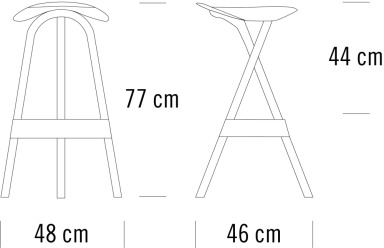 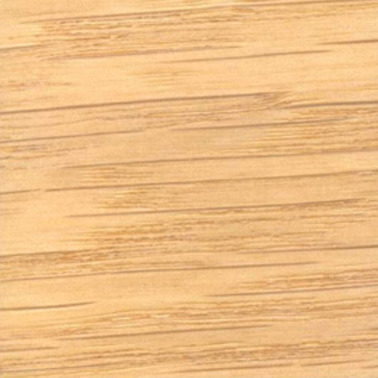 Wooden barstool (404 H) laminate wood.